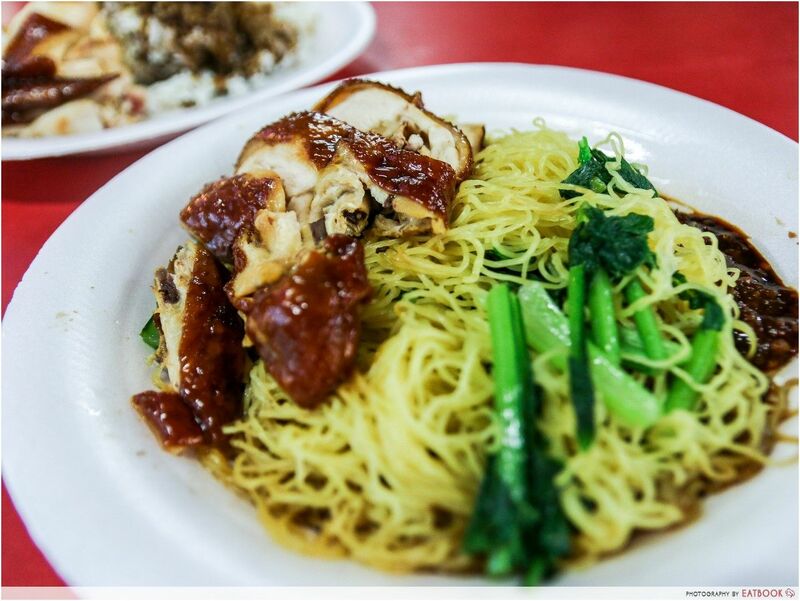 Many of the hawker stalls that have received a Michelin star or Bib Gourmand award serve dishes close to our hearts. Some of these stalls we may already frequent, but have never really imagined would get such recognition. I can’t help but swell with pride for the humble hawkers whose dedication and toil made it big. 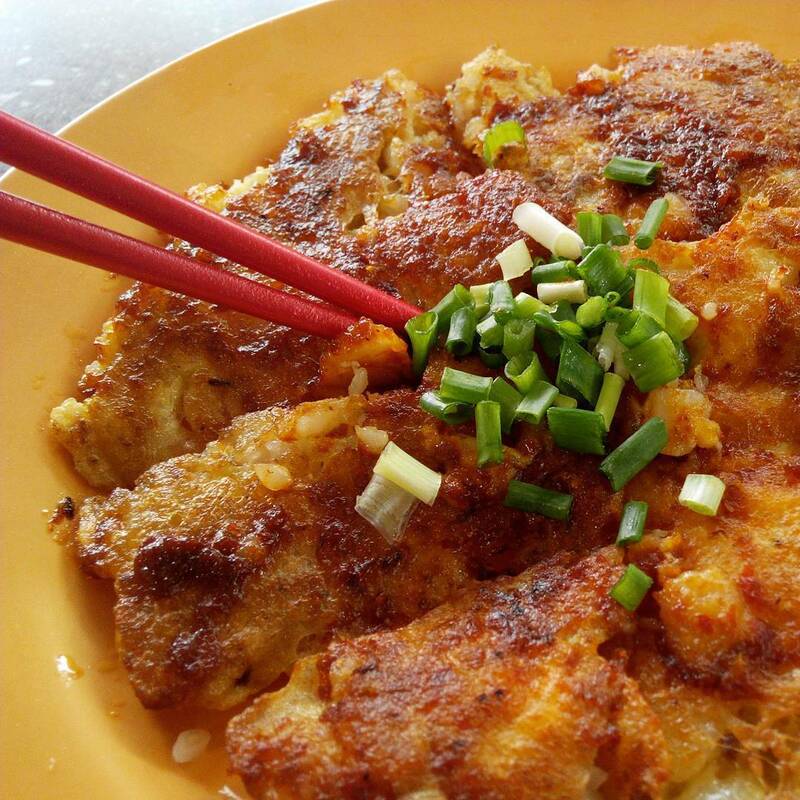 Here’s a list of eateries for some of the cheapest Michelin hawker dishes you can get! 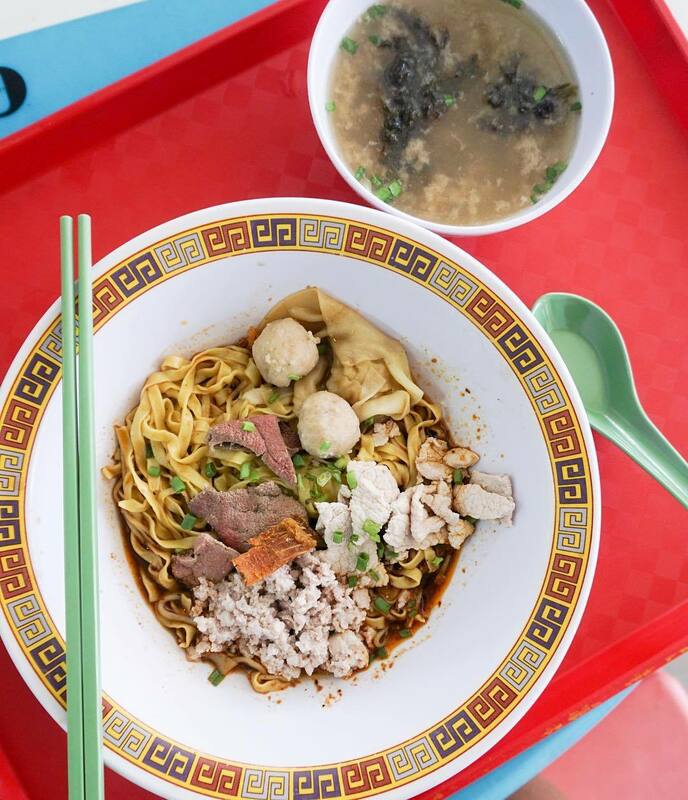 Bak Chor Mee ($6/$8/$10) from Hill Street Tai Hwa Pork Noodle sees hungry fans waiting as long as two hours. The most popular pick is their biggest bowl, which has an additional serving of each ingredient. Dumplings, minced pork, pork slices, liver, and dried sole fish top off al dente noodles that’s laced with a strong taste of vinegar. Each bowl comes with a rich and flavourful seaweed soup that you’ll want to drink to the last drop. Place your order at Chey Sua Carrot Cake before you look for a seat, because the wait can hit an hour. 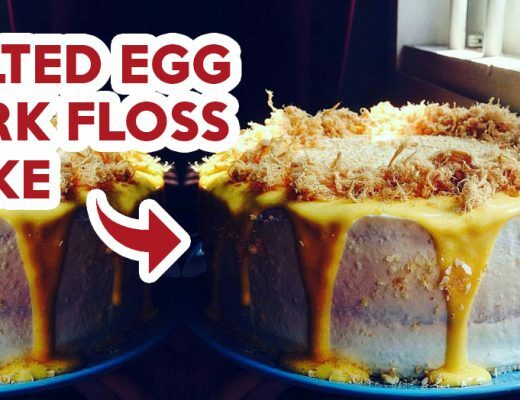 They sell only white carrot cake ($2/$3/$4) which is served with a brown crispy coat that’s fried together with a thin layer of chilli. Generous amounts of eggs and house-made radish cakes are blended with cai poh (preserved turnip) to make its deliciously soft insides. 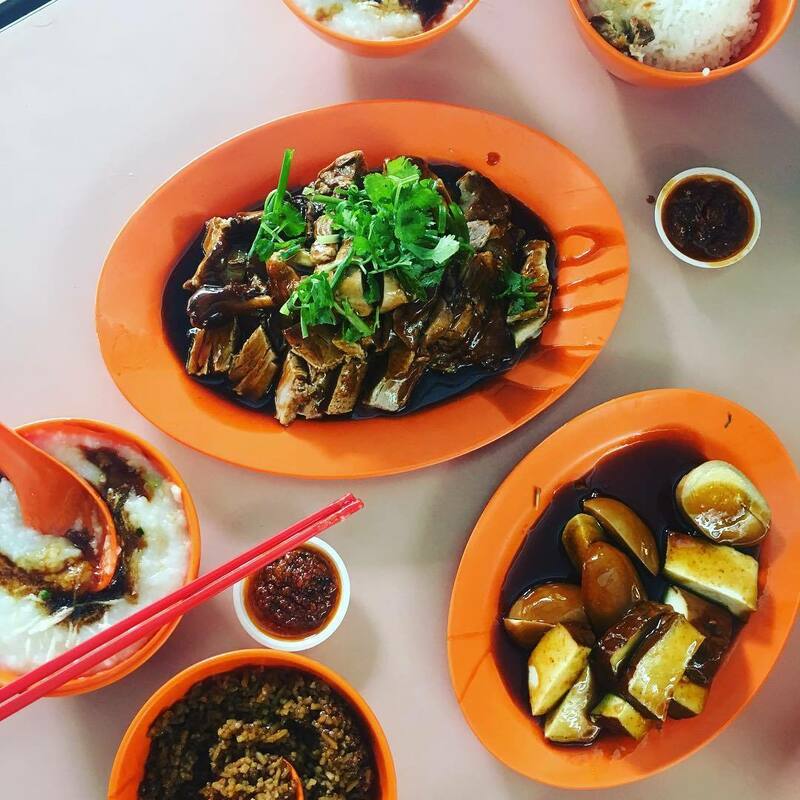 Known as the cheapest Michelin-starred dish in the world, the signature dish at Liao Fan Hong Kong Soya Sauce Chicken Rice & Noodle is Soya Sauce Chicken Rice ($2). An aromatic herbal gravy is ladled over rice that is topped with silky pieces of chicken. Its skin is glazed with soya sauce that’s so delectable I wouldn’t waste those fats if I were you. 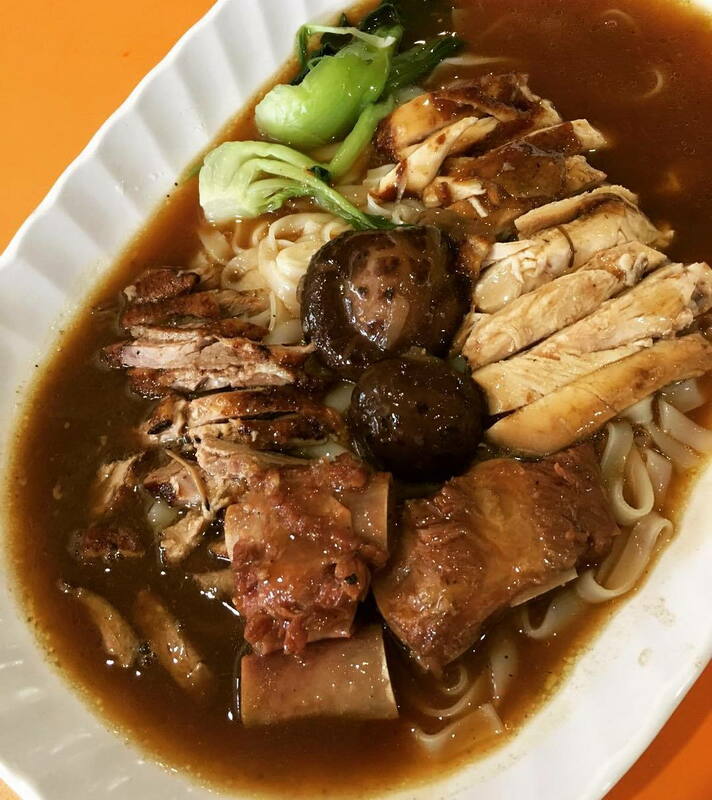 Their Soya Sauce Chicken Noodles ($2.50) comes with springy noodles tossed in sweet sauce, and firm and moist char siew that have a thin layer of char. Check out our full review of Liao Fan Hong Kong Soya Sauce Chicken Rice & Noodle! Liang Zhao Ji sells duck rice ($3/$4/$5) with a generous amount of ingredients. Their duck is tender and flavourful without tasting too salty, and drenched with a braising sauce that’s sweet from rock sugar and herbs. Their rice is cooked with a dark sauce, and pairs well with their appetising chilli sauce that’s slightly spicy and sour. However, should you prefer Cantonese-style congee, their version is smooth and flavoured with stock. Check out more must-try dishes at Whampoa Makan Place! Coincidentally, next to Liang Zhao Ji is Balestier Road Hoover Rojak. 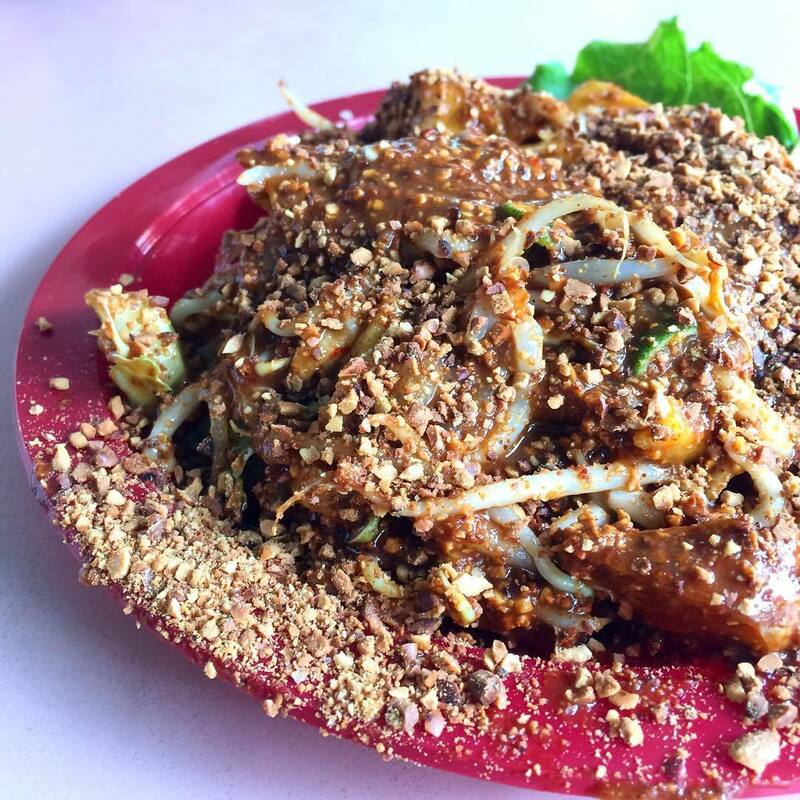 Their rojak ($4/$5) is mixed with an umami sauce that is zesty with lime juice, and tastes of prawn paste that isn’t too fishy. Green mango slices add tang to the sweet-savoury blend, and you can add on century egg for $1. Although their you tiao (dough fritter) isn’t grilled, they have jellyfish that gives a good crunch. A small plate is just nice for one person. 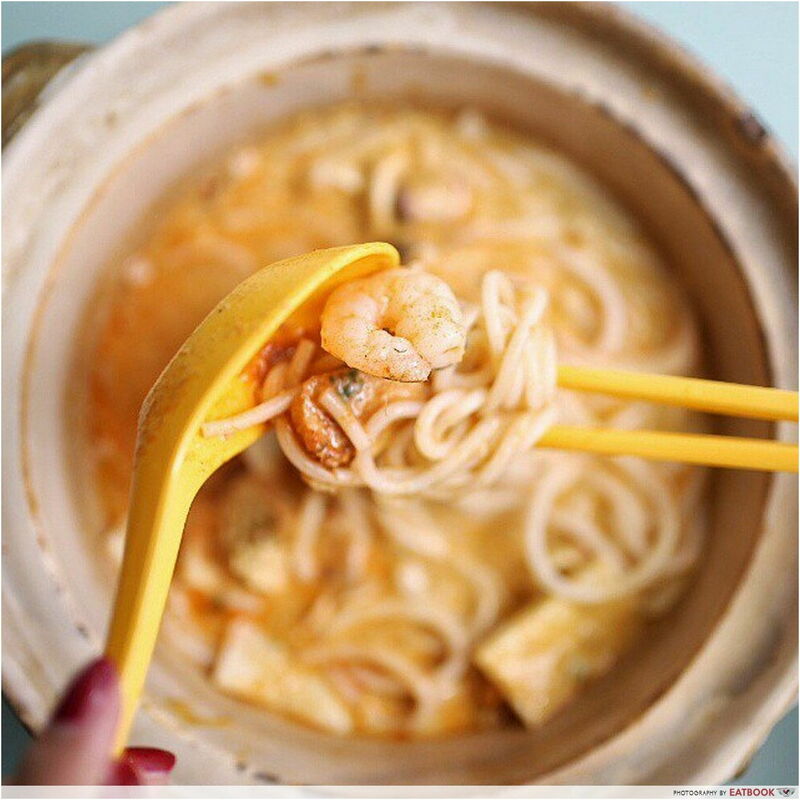 Depot Road Zhen Shan Mei serves laksa ($4/$5/$6) in a claypot with a thick gravy that’s rich with a hint of coconut. Their thick white bee hoon is infused with flavour from being cooked together with the gravy. Order their bigger bowls only if you’re ravenous, lest you get jelak. This lemak (fatty) dish isn’t fiery spicy, but help yourself to their sambal chilli that enhances the laksa’s flavours. For Chinese herbal soups, Ah Er Soup sells nothing above $6.50. 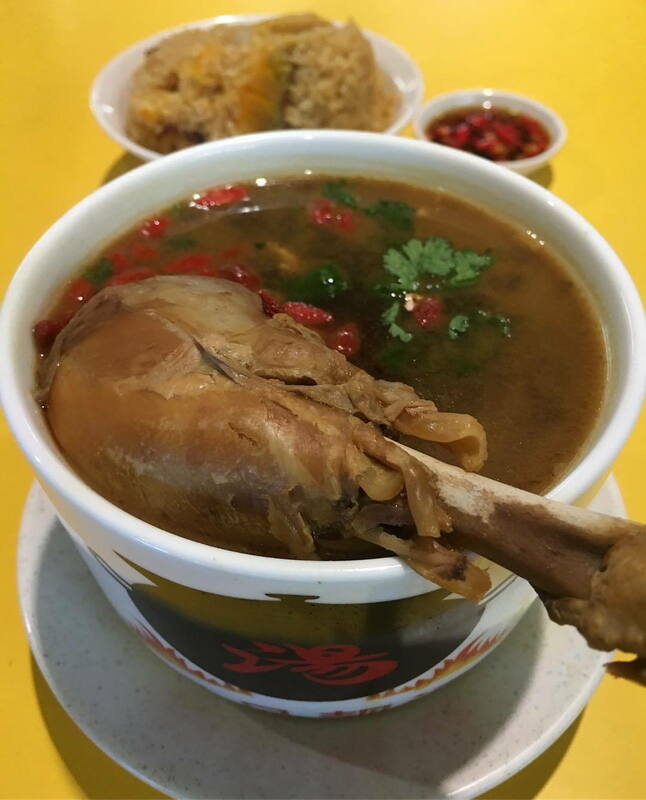 Their Ten Tonic Ginseng Chicken Soup ($5) has a strong herbal flavour, and includes a chicken drumstick with meat that’s cooked thoroughly soft. Pair it with white rice ($0.50) or pumpkin rice ($0.80) to make it a complete meal. Their popular soups sell out early so try to be there before peak hours. 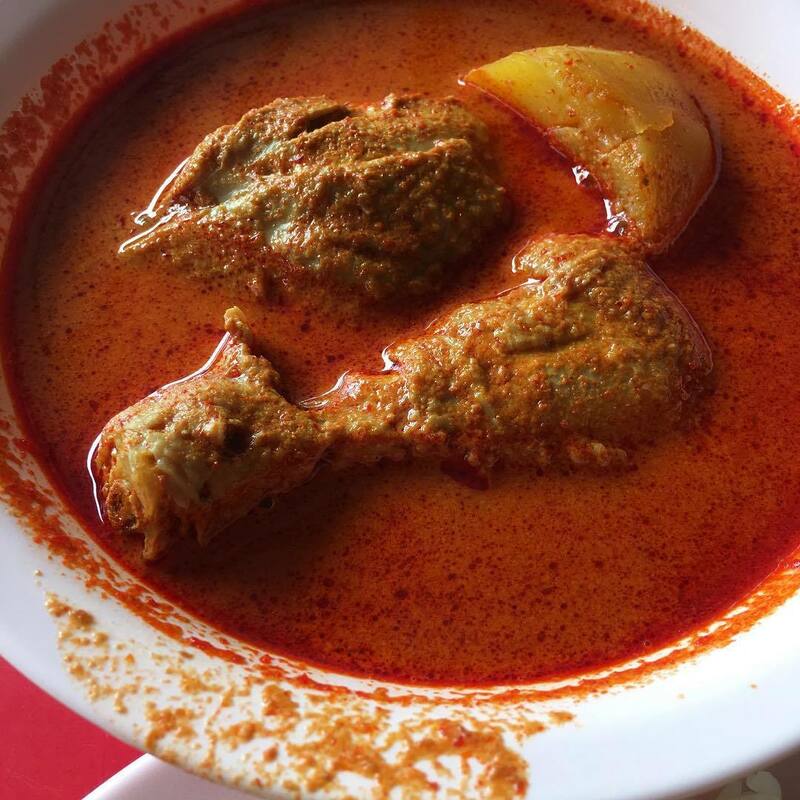 Prepare your tongue and tummy for a burn when you order from Na Na Curry. They offer Curry Fish Head (market price) as well as a range of smaller meals. Their Curry Chicken ($3) comes with pieces of chicken that are cooked till soft, and it is best enjoyed with white rice ($0.50). Their Curry Pork Rib ($4) is richer, and goes well with toasted baguette ($0.50/$1). 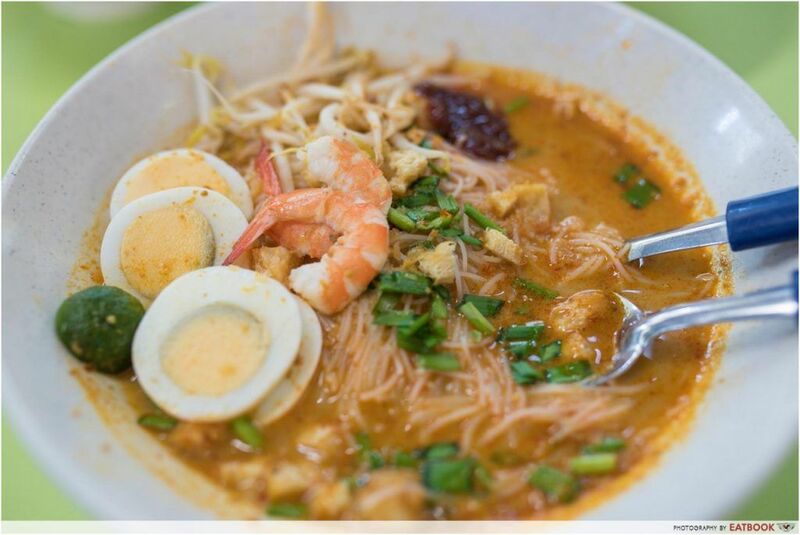 Fruit Juice Mee Siam ($3) is the most interesting dish from Famous Sungei Road Trishaw Laksa. Its smooth gravy is made of fruit juice, making it remarkably refreshing with a tangy and slightly spicy taste. Their most popular dish, however, is Asia Delight Laksa ($3). Its broth is made from simmering scallops, dried oysters, and dried prawns, and the owner uses fresh coconut juice to make the laksa broth less jelak. Check out our full review of Famous Sungei Road Trishaw Laksa! The signature at Shi Hui Yuan is slippery smooth Ipoh-style hor fun. Their Blissful Plate ($5/$6/$7) includes a bit of everything, including mushrooms, braised pork ribs, roasted duck, and chicken. With sauce stewed from chicken feet, braised pork ribs, and mushrooms, this dish has a robust and herbal taste that doesn’t overwhelm the palate. 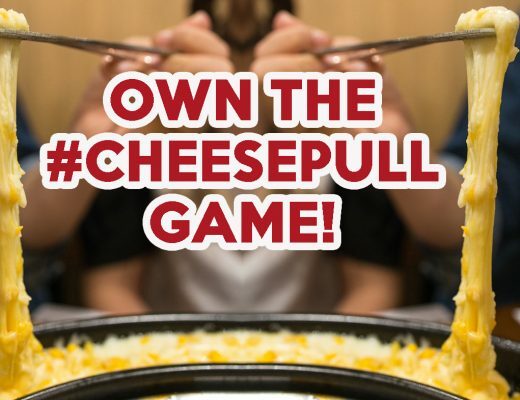 Whether these stalls represent Singapore’s best is subjective. 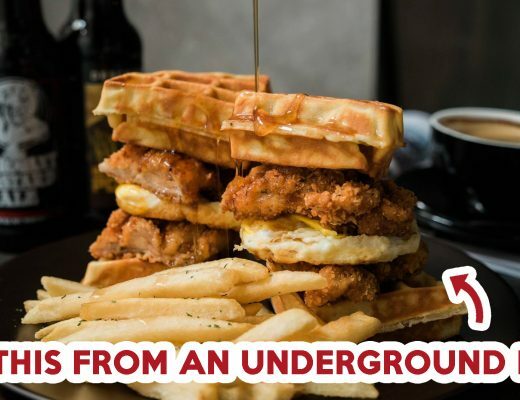 What’s for sure is that they are a nod to our diverse food scene. It’s time to put that diet aside to chomp down on some affordable nosh!